The pre-Christmas hustle is taking up speed and density while the speed of moving around and the speed of service is going down. The streets are full of shoppers, shops are full of Christmas goods, products, decorations and gifts. The shoppers are carrying their coats under their arms or in the shopping carts to prolong or rather enable to balance the temper and temperature while the choosing of the things to buy and the wait at the check-out. No Christmas carols yet. Last year I baked over a thousand Christmas cookies. This year could be more or a lot less since I am spending my weekend time on studying for an exam in December. I promised myself that I must manage at least some. Home made cookies are a part of the December celebration. 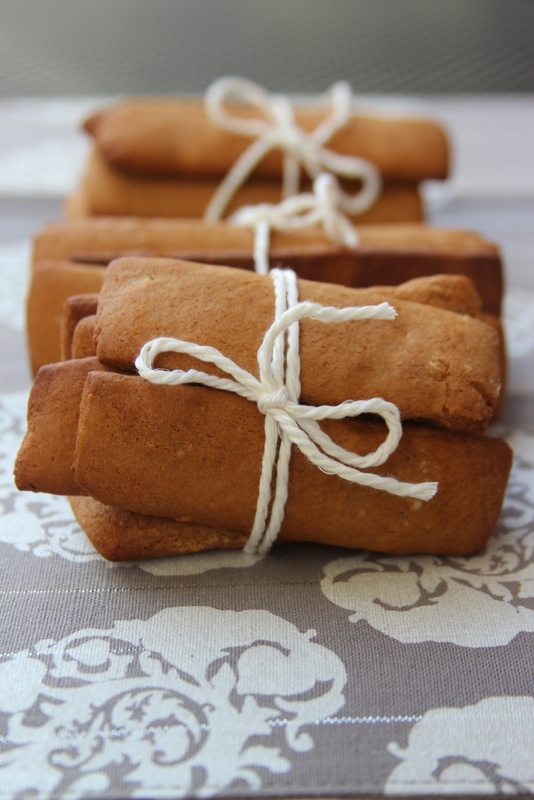 I was looking to widen my repertoir with some new cookies and happened on Lebkuchen which are normally thick soft cookies with a strong anis taste and smell. 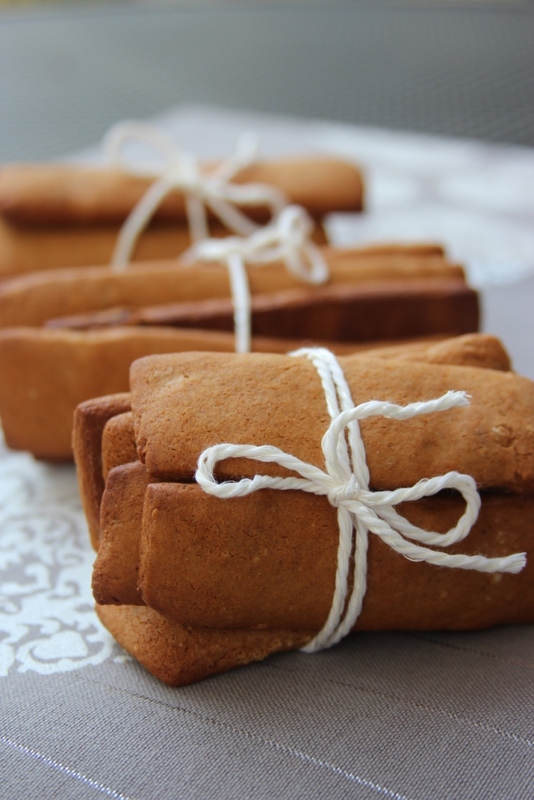 That´s how the Lebkuchen stand at the market outside the office smells. Most of the times I don´t enjoy anis. I am pretty sure everyone has some ingredient that they prefer to leave out of their diet. Anis is one of mine. That little detail wasn´t going to stop my experiment with Lebkuchen. 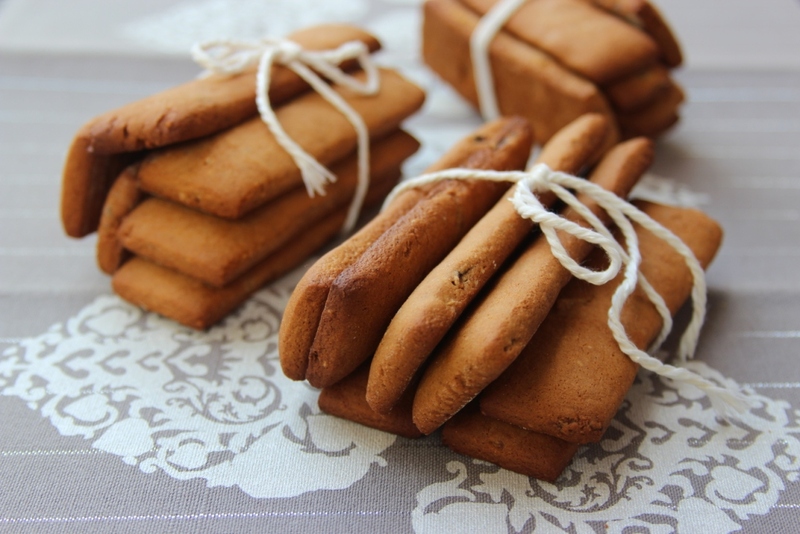 Aachener Printen is a type of Lebkuchen that gets an image "printed" on the cookie. My version is not that sophisticated, setting more worth to the inside than outside. :-) I took another liberty to change the standard recipe by adding butter. The original way of making the Aachener Printen is without fat. The recipe has been modified from one in the magazine of "essen und trinken" (I added figs, butter, changed the amount of flour, baking soda, left out pottasche, hirschhornsalz, kandis sugar). I am aware that my adjustments may be against the old traditions, but hey, all cooking is a big experiment. Set the oven to 200 degrees Celsius. Spread flour on the working surface to avoid sticking. Roll the dough to a 0.5cm thickness and cut strips of ca 2cm width. Cut lengthwise into the length you like. Place on the baking tray fitted with baking paper. Bake for ca 10 minutes. Keep an eye on the oven not to burn the cookies.